The World Economic Forum’s annual summit on the global agenda running in Abu Dhabi until Tuesday brings together more than 900 leading international experts in fields as diverse as nuclear security, climate change, religion and robotics. Many of the global challenges being discussed at the meeting, dubbed the world’s biggest brainstorm, are already having a direct impact on Africa. To find out more, we talked to Frannie Léautier, chief executive of Mboka Private Equity Fund, Tanzania, and a Member of the World Economic Forum’s Global Agenda Council on Africa, who is participating at the summit. When President Obama meets with African entrepreneurs in Kenya this week, he will discover innovative minds eager for partnership, Dr. Frannie Leautier says in the first of a two-part interview. African entrepreneurs are enjoying the spotlight, hosting President Obama this week at the Global Entrepreneurship Summit in Nairobi, Kenya. The continent’s entrepreneurs — whether using mobile technology to leapfrog the competition or off-grid innovations to power rural villages — are helping to lift once unstable countries into some of the fastest-growing economies in the world. Pension funds in Africa should direct more money towards local private equity (PE) firms that fund local enterprises, according to Jitesh Ladwa, CEO of Tanzania-based Mkoba Private Equity Fund. He says Africa holds billions of dollars that should be channeled into local economies rather than the continent always waiting for foreign investment. Last year a survey on pension funds in 10 sub-Saharan countries revealed assets worth a total of US$379bn. However, most of these pension funds were investing small amounts in PE due to myriad reasons including regulatory challenges. In Nigeria, for example, a paltry 0.22% of the $26bn of pension assets is invested in private equity. Ladwa explained to How we made it in Africa how he and his co-founders at Mkoba were turned down by foreign investors when they went looking for money to set up the PE fund. Eventually they raised money from local investors. Given the progress Africa has made in the last decade, Ladwa believes it is a “misguided effort” to wait for foreign help for everything. Last year one of the first Tanzania-based private equity firms launched with a US$200m fund. Private equity (PE) flows into East Africa have increased significantly in the last five years. And although some PE funds have sealed deals with Tanzanian companies, the funds mostly operate out of Nairobi or Johannesburg. Hence, the entry of Mkoba Private Equity Fund was greeted with enthusiasm in the East African nation. Mkoba was co-founded by a team of Tanzanian professionals led by former World Bank vice-president Frannie Léautier and accomplished businessman and economist Jitesh Ladwa. Meet the Boss’ is a How we made it in Africa interview series where we pose 10 questions to business leaders across the continent. Economists and business leaders have said Tanzania has all it takes to become the continent’s economic powerhouse, calling for political and economic stability to sustain its growth tempo. 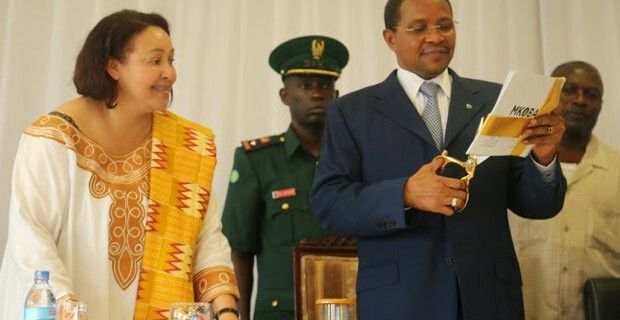 The observation was made at a conference on ‘Investing in Africa’s Future and the Role of the Private Sector’ which was held in Dar es Salaam yesterday and attended by President Jakaya Kikwete, Prime Minister Mizengo Pinda, Former Premier Cleopa Msuya and Former National Assembly Speaker Pius Msekwa. Also in attendance were TPSF Board Chairman Dr Reginald Mengi and BoT governor Prof Beno Ndulu, cabinet ministers, Members of parliament, diplomats, politicians, entrepreneurs and academicians. President Kikwete who also officially launched the Mkoba Private Equity Fund said the private sector has a chance of working with the government to transform the country’s economy. Dar es Salaam. 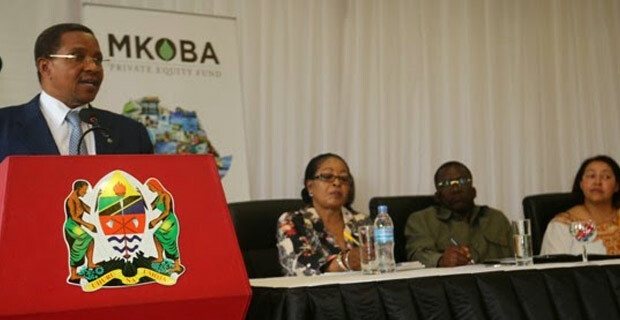 With a target fund of $300 million (about Sh480 billion), Mkoba Private Equity Fund—the first ever private equity fund in Tanzania—will be inaugurated tomorrow by President Jakaya Kikwete in Dar es Salaam. Mkoba Private Equity Fund, whose headquarters are in Dar es Salaam seeks the opportunity to support the “missing middle” by targeting equity investments ranging from $1.0 to $15 million (about Sh1.6 billion to Sh24 billion) mainly through providing growth capital for high-growth small and medium sized companies. Dr Frannie Léautier, a co-founding partner of the Fund, said over the weekend that Mkoba is responding to the emerging market opportunity in sub-Saharan Africa and is designed to fill the gap in the current range of financing available to the SMEs in the region. How can Africa attract private equity to its SMEs? By Dr. Frannie A. Léautier, Science Po, Paris; Partner and CEO, Mkoba Private Equity Fund; former Director of the Africa Capacity Building Foundation and of the World Bank Institute.With sound macroeconomic fundamentals confirmed, African countries could expect increased interest by private equity investors in their small and medium enterprises.There is huge pent up demand for financing in Africa, with more than 85% of small and medium enterprises (SMEs) un-served or underserved in terms of access to finance. What should countries do to attract more private equity into sectors like manufacturing, service delivery, energy, banking, consumer goods, and refining rich raw materials? Click here to view Insights and news .